Thirty-some years ago, half of America's families consisted of a dad who worked and a mom who stayed home to raise the children. Today, that number is just 20 percent. How incredibly our families have changed in my lifetime. "The Shriver Report: A Woman's Nation," a recent report by the Center for American Progress and Maria Shriver, looks at American women and how their careers have changed the nation. It's certainly food for thought, actually putting details, statistics and reasoning to things I've taken for granted all of my adult life. A car. A bicycle. Reliable electricity. Ample water. Chicken nuggets. These are just a few of the things Chris Leachman had to live without during his stay in Africa. Leachman, 23, spent nearly five months volunteering at Brydges Centre, an orphanage located in Kenya. "The kids were all wonderful," he said. "It was so much fun. It was tough to leave." Leachman met the brother of the orphanage's founder in a class at Western Kentucky University. "I told him, 'Man, I'd love to go to Africa.'" Two people were injured in a two-car crash on U.S. 68 Monday morning. According to a Campbellsville Police report, at about 10:23 a.m., Forrest Rhinehart of Campbellsville was driving a 2006 Lincoln Town Car west on U.S. 68 at the intersection of Friendship Pike when he struck a 2007 Ford passenger car driven by Robin Cox of Campbellsville. The Cox vehicle was traveling south crossing U.S. 68 from Friendship Pike to West Main Street. 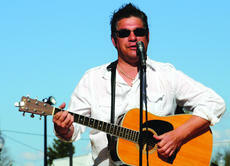 Nearly 100 vehicles were on display Saturday evening on Main Street for the first of seven "Mainstreet Saturdaynights." The Tri-County Car Club and downtowncampbellsville.com are hosting the event on the first Saturday of each month from April to October. Main Street will be closed for each from 4 to 8 p.m. According to Bob Cutler, president of the Tri-County Car Club, Saturday's event raised $200 for Taylor County Relay for Life. 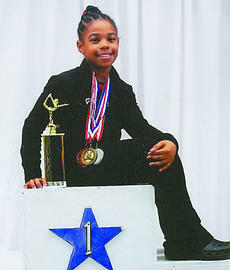 Kayla Gaines has been named the Level 5 state gymnastics champion in the 10-year-old junior division. The state competition was March 21 at Bethlehem High School in Bardstown. Gaines, also a member of the Champion Gymnastics Team, medaled in each of her four events, and her team took home the first-place trophy. Gaines earned a first on the vault, second on the balance beam and third on the floor and bars. Her combined all-around score of 36.425 put her in position to take home the first-place trophy along with the title of state champ. As the 2010 Census unfolds, the U.S. Census Bureau is emphasizing that safety for the public, as well as census employees, is top priority. "It's important that people know how to identify a sworn census taker so they can protect themselves from frauds and scammers," said William W. Hatcher, regional director for the U.S. Census Bureau. "As our 2010 Census operations kick into high gear, we want to protect the people of Kentucky while we are asking their cooperation." 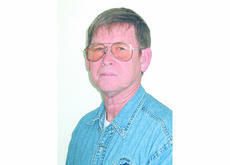 Jeff Eastham has announced his bid for the office of District Judge for Taylor, Green, Marion and Washington counties. 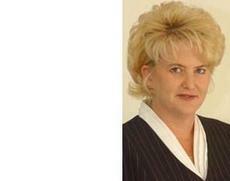 Eastham has practiced law for more than 19 years. While his practice is varied, Eastham says it focuses on those areas specific to a district judge - juvenile (both as advocate for child and parent and as prosecutor), criminal (both defense and prosecutorial), probate and civil actions (both defense and plaintiff). Eastham says he has a great understanding of those cases that come before District Court, from both sides. Editor's Note: Two candidates have filed for the 1st District magistrate seat, but neither will appear on the Primary ballot this May. Both advance to the General Election this November. Incumbent James Jones, a Republican, will face Democrat Henry Lee Colvin. Three candidates are seeking the 2nd District magistrate seat this election year, though only two will face Primary opposition this May.